Commercial Security through First World Standards, Ethics and Integrity. 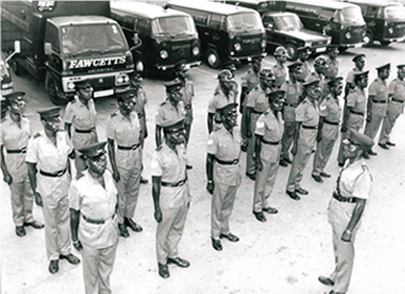 50 years being the leading security company in the Zimbabwean Security Industry is a remarkable feat, but one to which Fawcett Security can indisputably lay claim. 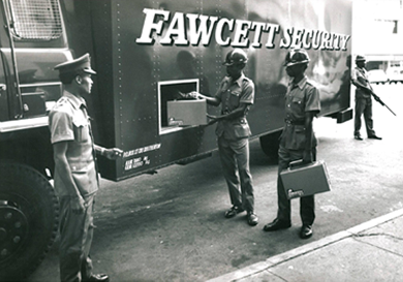 Established in 1959 and with the most widely spread network of offices (Fawcett Security has offices in Harare, Bulawayo, Gweru, Mutare, Victoria Falls, and many other cities and towns all around Zimbabwe) and largest fleet of specially designed cash-carrying vehicles. This makes Fawcett Security the preferred security services provider in all sectors of the economy. The range of products available from Fawcett Security Technical Division ensures that it is able to provide state-of-the-art and robust security solutions to its clients. 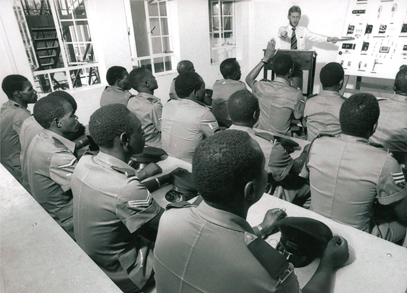 A commitment to the highest possible standards of service delivery, a keen emphasis on training and manpower development as well as the close observance of ethical business practice since the inception of the company, has gained Fawcett Security the leading edge and market share in commercial security. A network to provide service anywhere in Zimbabwe. Strong representation in all Sectors of the economy. A workforce in excess of 4 000. A custom built training facility.